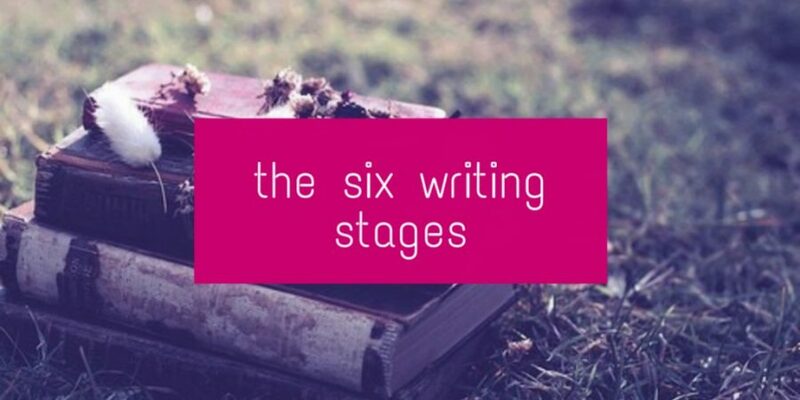 Writing Your Novel: The Different Stages - M.W. This stage is when you get the first taste of a new idea. It’s like falling in love. First, you can’t find any faults with this person. They are perfect in every single way and they make you feel all giddy and excited. That’s kind of what a story first does. And there’s nothing wrong with that. This is one of the best stages. Anything can happen. The possibilities are endless. And there’s always that sneaky hope that it will be the best you’ve written yet. This is the part that comes down to good old-fashioned work. You can either wing it, plot it, or enjoy a combination of both. Either way, this part is still fun. You’re seeing the word count rise, and you’re getting to know your characters. Bring out the tea and biscuits and DO NOT GET DISTRACTED by the internet/talking people/fluffy pets/impending doom. Stage two is followed quite closely by this one, though perhaps not everybody goes through this stage. Or at least not with every novel. There could come a moment, probably right before or around the climax where something isn’t right and you stop typing. Perhaps there’s a plot hole you can sense, or something wrong in terms of characterisation. It could also be that you don’t want to part with your new friends and you’re digging your heels in the sand. This is the hard part, because once you’ve stopped, how do you get yourself back on the unicorn? Once you’ve conquered the motivation issues that eventually arise, you pick up momentum and are eager to finish the novel. It’s time, you want it to be done and you want to be one step closer to actually being able to send it out into the world. This stage involves blood, sweat, and the tears of your enemies. But when you’ve typed the final sentence it’s like a confetti explosion in your brain. Enjoy it, it won’t last. This is the rereading stage. Perhaps some of you dive straight into editing, but I’d like to read what I’ve written about a week or so later and then take notes on what needs improving. I also pick out the majority of spelling errors in this stage. What makes this stage AAAAAGHHH is because there are a lot of self-doubts that can pop up. Usually, your mind will alternate between THIS IS BRILLIANT and between THIS IS RUBBISH. That is completely normal. And also okay. This is why we edit. Editing is the final stage, though this may be repeated as often as you desire. This is definitely not my favourite part of writing a novel, though it can be fun. The hard part is that at some point you become blind to what you’re reading and you’re not sure whether or not it sounds good. A professional editor can certainly help and I highly recommend it. If you want to know which one I used, feel free to ask. Depending on what genre you write, do some research, ask around, and go with your gut. Some will provide a sample, so you can see if you like what they do. If you don’t want to pay, you can have a chapter edited for you, for free. Though if you want more edited, the money is worth it. Before you know it, (not really, it feels like forever) your novel is ready to brave the world/an agent. Whoohoo. You brave writer.